McKINNEY — The McKinney police officer whose actions at a pool party disturbance last Friday went viral in a YouTube video resigned from the force on Tuesday. “I had 12 officers on the scene, and 11 of them performed according to their training,” Conley added. Casebolt’s resignation was confirmed about one hour earlier by attorney Jane Bishkin, who told WFAA that the decision was made after a meeting with the department’s internal affairs unit to review possible charges her client could face. 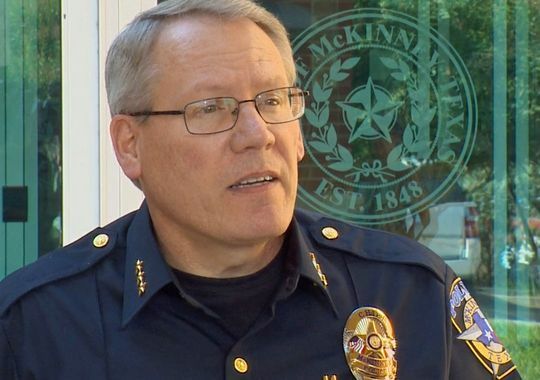 Casebolt, a 10-year veteran of the McKinney Police Department, was placed on administrative leave Sunday after a 7-minute video of the incident at a Craig Ranch community pool gained traction on the Internet. That clip has now been viewed almost 9.5 million times. he footage shows Cpl. Casebolt, who is white, aggressively responding to the disturbance call, using profane language with black teenagers, unholstering his service weapon and pointing it toward the unarmed teens, and restraining a 15-year-old girl in a swimsuit by forcing her to the ground and placing his knee on her back. Casebolt has not made any public statements since Friday’s incident. His lawyer said he has been in hiding with his wife and family at an undisclosed location after they allegedly received death threats. Chief Conley said he was encouraged by community support in the wake of what happened. Casebolt’s attorney said she would have more to say about why her client resigned at a news conference on Wednesday afternoon.